At Timber Treasures our solid wooden products are lovingly designed and handcrafted from New Zealand’s finest Heart Rimu or historic Swamp Kauri timbers. We create a truly special engagement, wedding, anniversary, 21st, baby, corporate gift, or a unique folder for Genealogy or Heraldry information. It can be also be a memento of your travels abroad. Our handmade albums can be fully personalised by engraving names, dates and pictures on the cover. 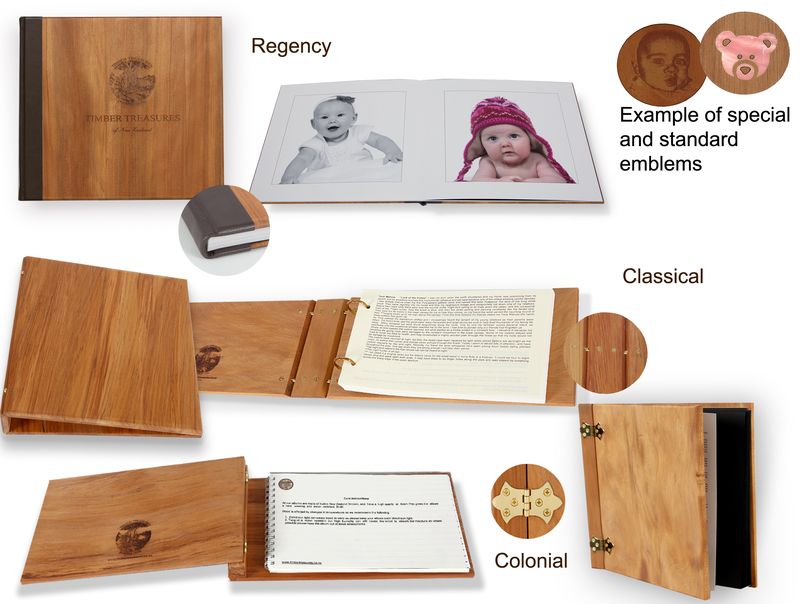 We can also custom make a wooden album or book and add your company logo or event details to celebrate those important milestones.